In a sauce pan on the stove, whisk butter and flour over medium heat. As it gets thicker, add heavy cream and bring to a slow boil. Continue to whisk, add cheeses and blend until creamy. Add peas and capicola and reduce heat to simmer. Add red pepper flakes, Italian seasonings, salt, and pepper. Turn off heat. Bring a pot of water to a boil and cook pasta according to the directions on the package. Drain water and add pasta to the sauce. In a separate sauté pan add bread crumbs. Stir over a medium heat to toast. 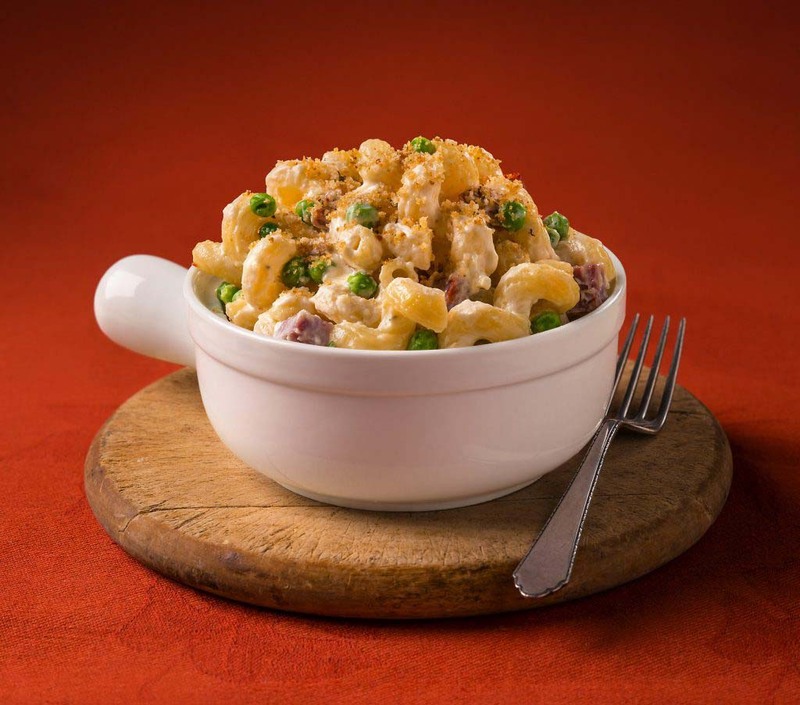 Transfer mac n’ cheese to a large bowl and finish with grated cheese and toasted bread crumbs.